Flooded vs. AGM vs. Firefly? Thanks for contacting PYS about marine batteries for your Nordic Tug. 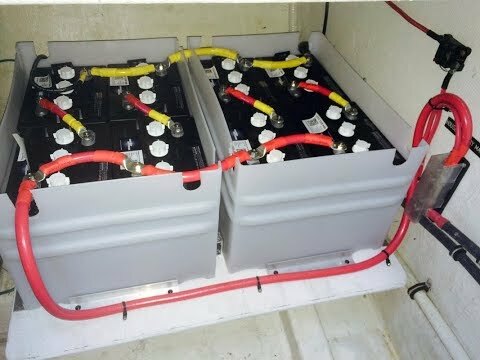 I am assuming you want to keep the same amount of 200 amp-hours usable battery capacity of the 6 flooded deep cycle golf cart batteries, i.e. 30% of 600 amp-hours. 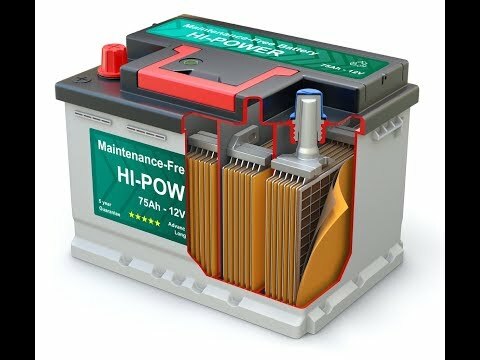 With AGM golf cart batteries, i.e. 50% of 400 amp-hours, to get exactly 200 amp-hours of usable capacity. 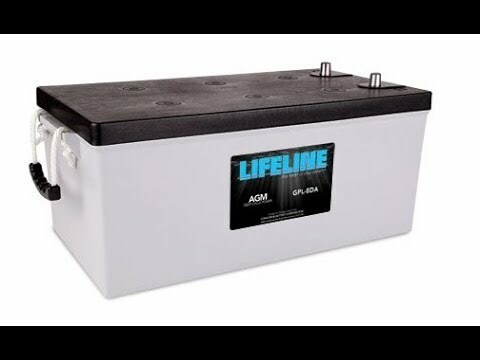 This is possible because standard AGM batteries can go down to 30% of capacity and still provide the same amount of cycles as a flooded deep-cycle battery brought to 50% of capacity. 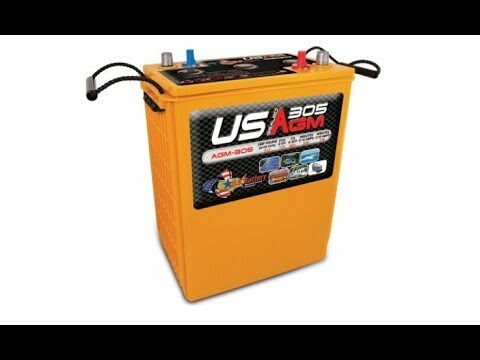 The cost of an AGM golf-cart is about $350 to $400 per battery, so about $1400 to $1600 for a bank of 4. 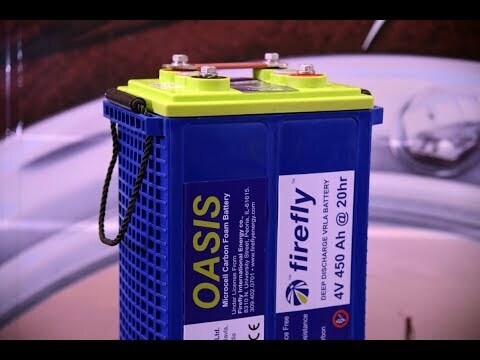 With Firefly Oasis AGM, since the depth of discharge can go as low as 20%, you have 60% of usable capacity, i.e. 60% of 348 amp-hours, is 209 amp-hours. Each Firefly costs $698 each, for a total of $2100. 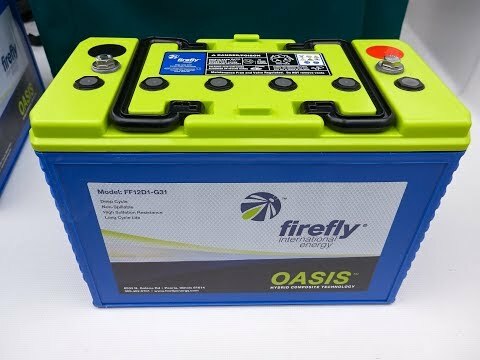 The big difference with firefly, versus all others, is they last 4 times as long, even when discharged to 20% of capacity, plus the battery never suffers from premature failure or aging due to the effects of sulfation. 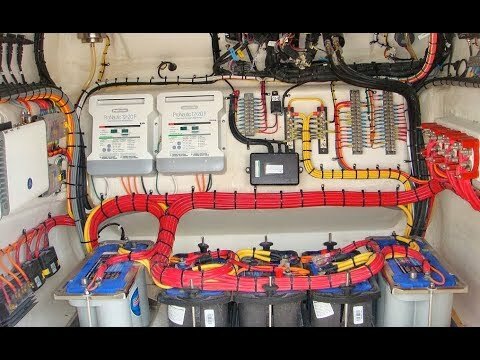 And yes, we can come to your boat and help you with your connections and make recommendations.